Whatever flooring products you select, Personal Touch Flooring understands the proper techniques and materials to give you a perfect, on time installation. Personal Touch Flooring is the area’s first choice when it comes to professional installation of hardwood, carpet, ceramic & porcelain tile, laminate or luxury vinyl floors. Our company has been supplying and installing every type of flooring products for customers located in Poughkeepsie, Pleasant Valley, Lagrangeville, Hyde Park, Hopewell Junction, and other nearby communities for many years. We offer affordable prices on floor installation and top-rated customer service. 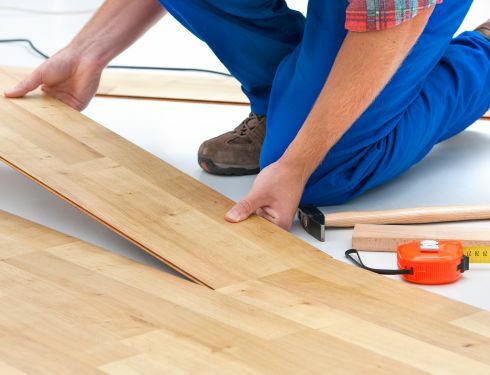 Installing flooring can be a complex, confusing process unless you have prior experience in measuring floor areas and using the correct manufacturer-recommended techniques to put the flooring materials in place. Personal Touch Flooring installation specialists are state licensed (where applicable), well trained and continually re-evaluated to ensure that our valued customers will be completely satisfied. Personal Touch Flooring installation specialists must be exceptional craftsmen with flooring installation of a variety of products deeply rooted in their work histories. Delivering the finished appearance that customers expect and deserve to see at the completion of their installation, is our goal and precisely what we do best. We will accomplish everything that must be done to be 100% sure that this goal will always be achieved. You can even rely on us to remove and take away any trash that remains once your project is completed. Need additional information? You can call us, e-mail us, or stop in at our showroom in Poughkeepsie, NY at your convenience to discuss your need for new flooring installation with one of our specialists.